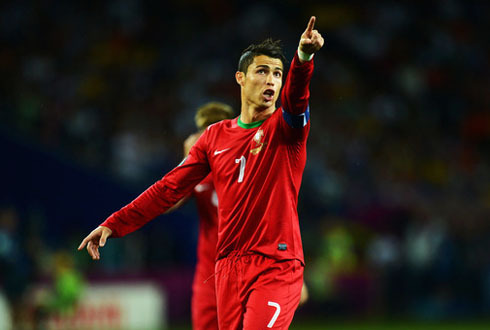 ﻿ Is Cristiano Ronaldo in danger of missing the FIFA World Cup due to injury? 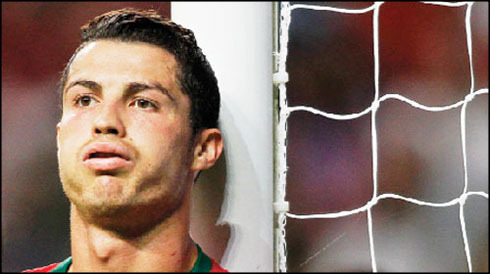 13.05.2014 » Is Cristiano Ronaldo in danger of missing the World Cup due to injury? There's still no reason for alarm, but judging from what we've seen in the past weeks, Cristiano Ronaldo and Real Madrid seem quite obsessed with winning the club's 10th UEFA Champions League, even if that means jeopardizing the World Cup for the Portuguese star. It's not as if we expected Real Madrid to play cautious with Ronaldo's physical condition for what will be left of the season during next summer's World Cup. The truth is that it's the club who pays the player's salary at the end of the month and just as any other employer out there, they are in their fully entitled to make use of their assets whenever they see fit. However and believing in the veracity of the news that came out about Ronaldo, stating that he has been wanting to play every single game in the league even when not being fully fit, we can't help but to question if we're in the presence of a case of professionalism taken to the extreme, or if Ronaldo is quite simply not seeing the big picture and taking unnecessary risks with his physical fitness condition for the upcoming FIFA World Cup in Brazil. 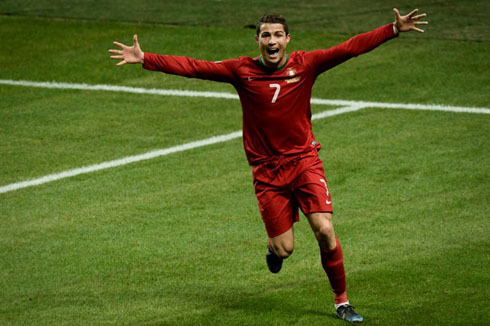 The Portuguese National Team is currently rated as the 12th most favorite team to lift the trophy in Rio de Janeiro next July 12, while Cristiano Ronaldo becoming the tournament's top goalscorer is paying 13 times the investment made on him... That's what we can call being an underdog! Regardless of how much the following statement may be criticized, it's one thing to risk everything in games such as semi-final or a final of the Champions League, but to want to do it in a league game where the title hopes have already vanished and just for the sake of increasing the personal goal count in order to make sure that neither the Pichichi nor the Golden Boot slip away, just seems a bit irresponsible at this point. A player of Ronaldo's caliber should always set his sight at higher goals like the Champions League or the upcoming FIFA World Cup, even if sometimes that means not breaking one or another individual record. Ever since Real Madrid suffered that huge blow in their title hopes following the disappointing 2-2 draw at home against Valencia on May 4, it's hard to understand why was still any need left to start with Ronaldo right in the game after against Valladolid, which took place only 3 days later, on May 7. We obviously don't know what were the medical staff recommendations for that game in particular, but whoever decided that Ronaldo was in good conditions to step in, probably realized the mistake shortly after, as the Portuguese star had a small relapse from his injury with less than 10 minutes played in the first half. Ronaldo has been resting and recovering since that game and has already missed the game against Celta de Vigo this last Sunday. With two games left for Real Madrid this season, one for the Spanish League next Saturday (against Espanyol) and another for the final of the UEFA Champions League against Atletico Madrid, scheduled for May 24, how much can Cristiano Ronaldo still push himself forward physically speaking, without putting at risk his own presence in Brazil's 2014 FIFA World Cup? Carlo Ancelotti already admitted that his star player Ronaldo is tired, but for now, let's just hope that no one (either Ronaldo, Ancelotti or the medical staff) decides to play with fire by allowing the Real Madrid forward to play against Espanyol, just to so he has more chances of securing his Pichichi and Golden Boot awards. Cristiano Ronaldo next game for Real Madrid will be against Espanyol, in La Liga's last fixture of the season, scheduled for May 17 of 2014. You can watch Juventus live stream, Real Madrid vs Espanyol, Barça vs Atletico Madrid, Bayern Munchen vs Borussia Dortmund, and Sevilla vs Benfica, all games provided from our football live section.